TopSpec Stud Lite Feed Balancer has been designed for breeding stock that are such great-doers that they would become overweight if fed the recommended amount of a good Stud Feed Balancer. TopSpec Stud Lite Feed Balancer will not promote weight-gain when fed as part of a calories-controlled diet. It is of great use in avoiding over-topped youngsters and overweight broodmares and stallions. New TopSpec Stud Lite Feed Balancer is a very palatable ‘Non-Heating’ low calorie feed that contains a multi-supplement including the levels of micronutrients and digestive aids normally only found in high quality specialised supplements. 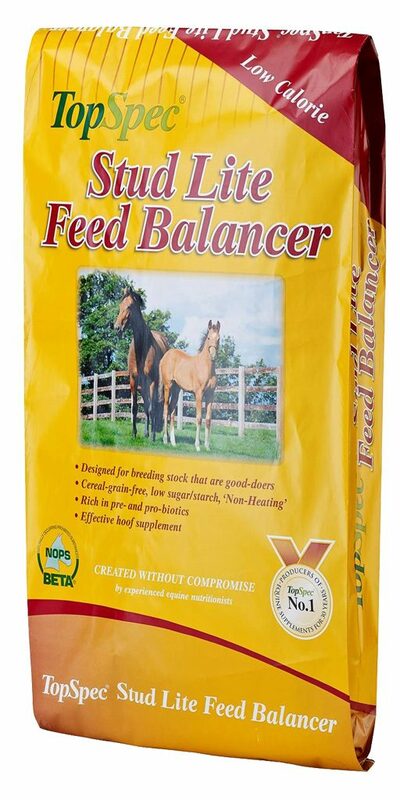 When TopSpec Stud Lite Feed Balancer is fed there is therefore usually no need to add any further supplements. It can be fed alone or mixed with a little chop e.g. TopChop Alfalfa. TopSpec Stud Lite Feed Balancer is formulated to the best possible specifications, using the highest quality ingredients, and contains optimum amounts of all the nutrients needed to complement forage and allow broodmares and youngstock that are good-doers to reach their maximum potential without becoming over-topped. Using TopSpec Stud Lite Feed Balancer will not promote weight gain. It will facilitate muscle and bone development, greatly improve hoof quality and produce a supple skin with an exceptionally shiny coat. It will also support fertility and milk yield in mares, and good, even growth rates in youngstock. TopSpec Stud Lite Feed Balancer helps to maintain a healthy immune system. TopSpec Stud Lite Feed Balancer can be fed to over-topped foals from around three months as a creep feed prior to weaning. A week after weaning TopSpec would recommend a gradual change to TopSpec Stud Feed Balancer. Powerful levels of vitamin E and selenium to act as anti-oxidants and, together with considered levels of quality protein, optimise fertility, muscle development and function. Effective levels of vitamins, minerals, trace elements and a little quality protein to develop and maintain strong bone. Constructive levels of amino acids, complex carbohydrates, anti-oxidants and MSM to help maintain healthy joints. Raised levels of copper, zinc, B vitamins and associated nutrients to optimise haemoglobin levels in blood. Generous levels of B vitamins, important when forage intake is limited. Two yeast products to support a healthy digestive system and help to maintain the immune system. Considered levels of quality protein and intracellular soya oil, but only low levels of sugar and starch to promote correct musculo-skeletal development. Moderates the effects of stress. Ensures all the micronutrient requirements of the in-utero foal are met, helping the foal to meet its maximum potential at birth. Is very palatable and beneficial for foals from three weeks of age. Helps to maintain even growth rates in youngstock. Facilitates muscle development and topline. Greatly improves hoof, skin and coat quality. 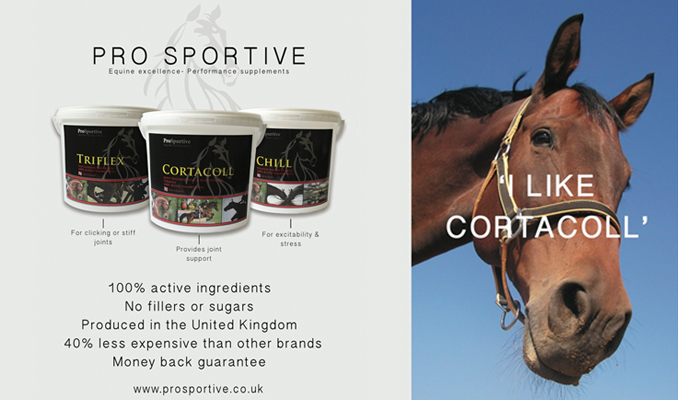 Helps to maintain health and fertility in stallions that are good-doers. TopSpec Stud Lite Feed Balancer is available in 20kg bag price £27.95.